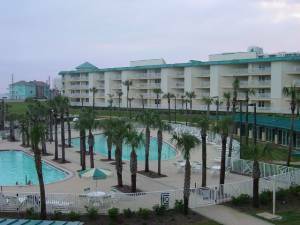 Amalfi Coast Resort is located in Miramar Beach between Destin and South Ft. Walton Beach. 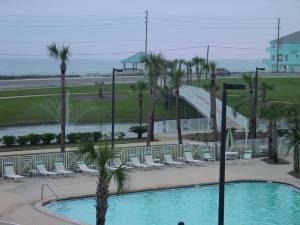 The resort occupies 8.6 lush tropical landscaped acres directly across the street from the Gulf of Mexico. 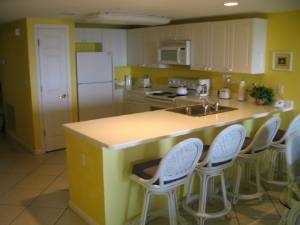 With unobstructed views of the private beach, two pools, lighted tennis courts, ample parking, a pond and bridge leading to the dune walkover with gazebo, you could find no better place to relax in the sea breeze and soak up the sunshine that Florida is famous for. And why spend your vacation cramped in a small hotel room when you could be enjoying such beautiful spacious accommodations as these?! 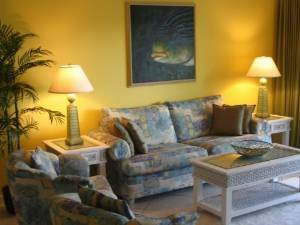 Our beautifully decorated 2 bedroom units are fully equipped and ready to become your home away from home. Enjoy your spacious Living Room with Cable TV and VCR. 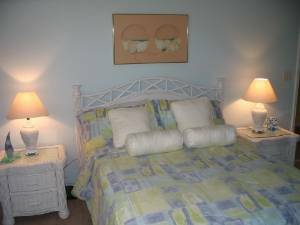 There is a full sized washer and dryer in each unit and the kitchen is equipped with all standard appliances as well as dishwasher, microwave, coffee maker and much more. All your basic needs will be met for cooking and dining ~ just add food and let the chef inside of you take over. When the day is done and the sun has set slip into the Master bedroom (with ensuite bathroom) and rest easy knowing that you chose the perfect accommodations for your family vacation to Florida’s west coast. All units are individually owned so decor may vary from that pictured. Also bed configuration varies, please inquire. You will have plenty of room to lounge or swim with 2 pools on the property. Easy access to the beach from the pool. Exceptional view from your balcony! We really enjoyed the convenience of this facility. It had everything we needed and was very clean and well kept. We plan on staying here many more times in the future! 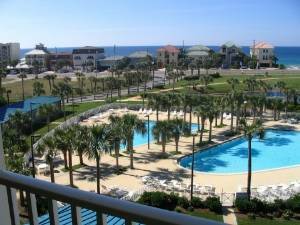 Book any Aug. week for $1099.00. *Rates do not include an 11% state/local tax! 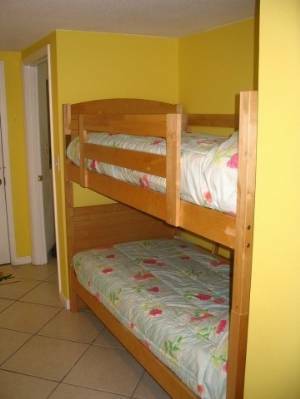 * Must be at least 25 or older to occupy this unit or be accompanied by a parent or guardian!! *Prices and availibility are subject to change without notice. Please inquire!! 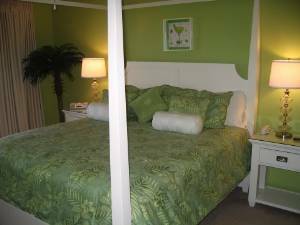 Special: book any remaining week in 2008 Rates do not include tax. Booking deposit of $250 is non refundable. Units are available for Sat-Sat weekly rental only. Pets, smoking, and motorcycles are prohibited. You must supply your own equipment for the tennis courts. The over night parking of oversized vehicles including, but not limited to RV's, buses, boats, trailers, etc. is prohibited. Deposit: Must be 21 years of age or accompanied by a parent of guardian A $250.00 non-refundable deposit is due 30 days prior to arrival.